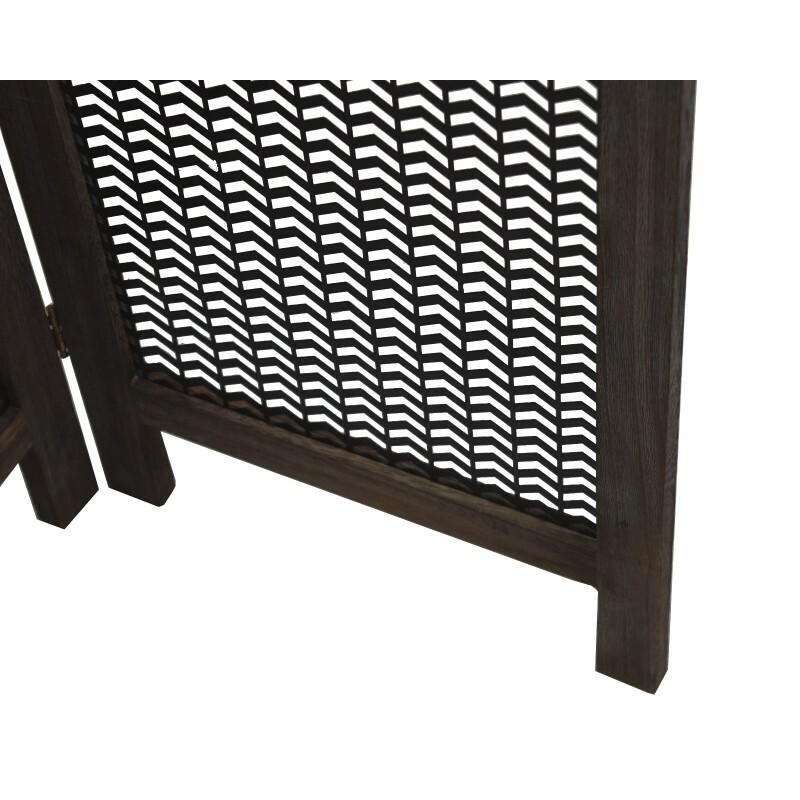 Feature1 Dimension: 60" W x 3/4" T x 67" H Folded: 15" W x 3" T x 67" H Weight: 15.5 lbs. 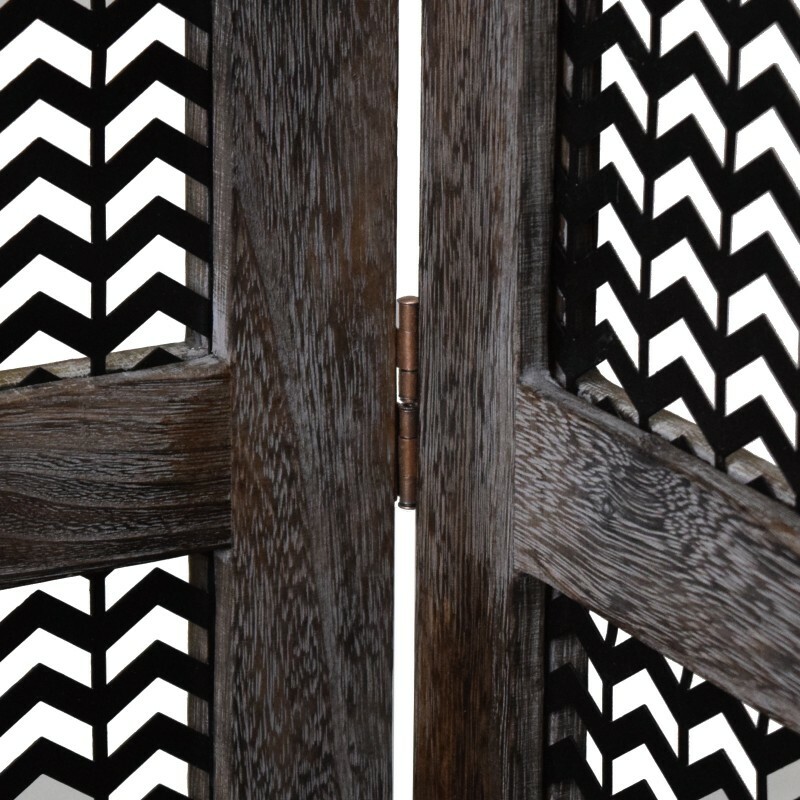 Feature4 Helps weaken lights; create the patterned shadow on the wall or floor; it is a functional décor! 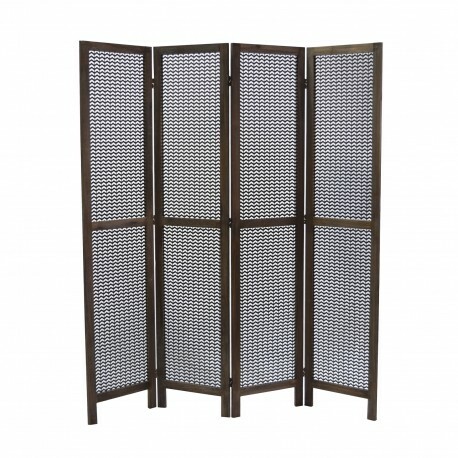 Originality and antique style come alive in this artistic folding screen or room divider. 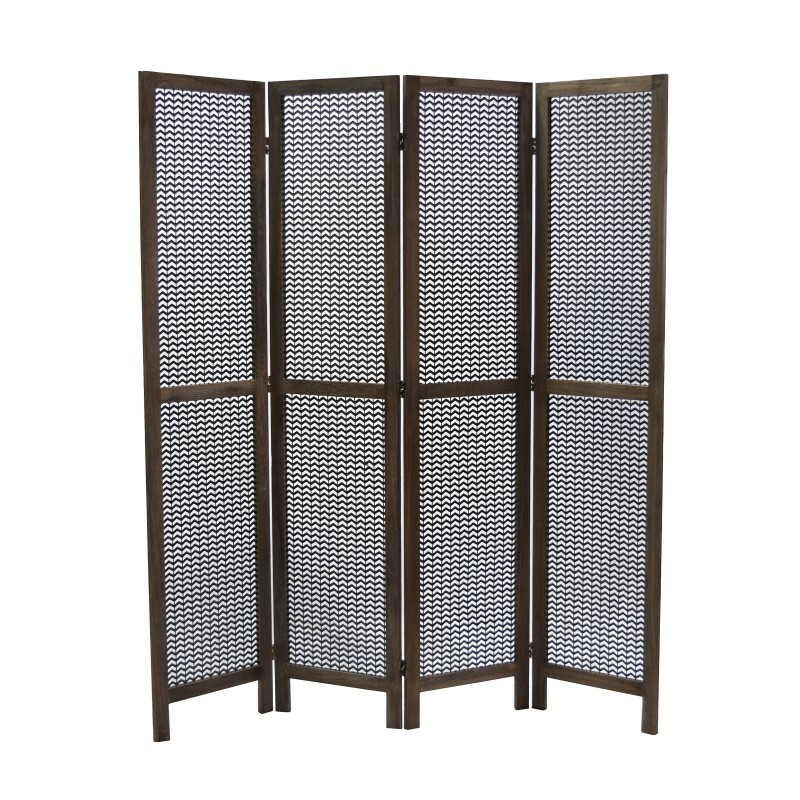 Enclosed by the frame of Paulownia wood with torched brown, the metal sheets are patterned into harmonic wave rhythms. 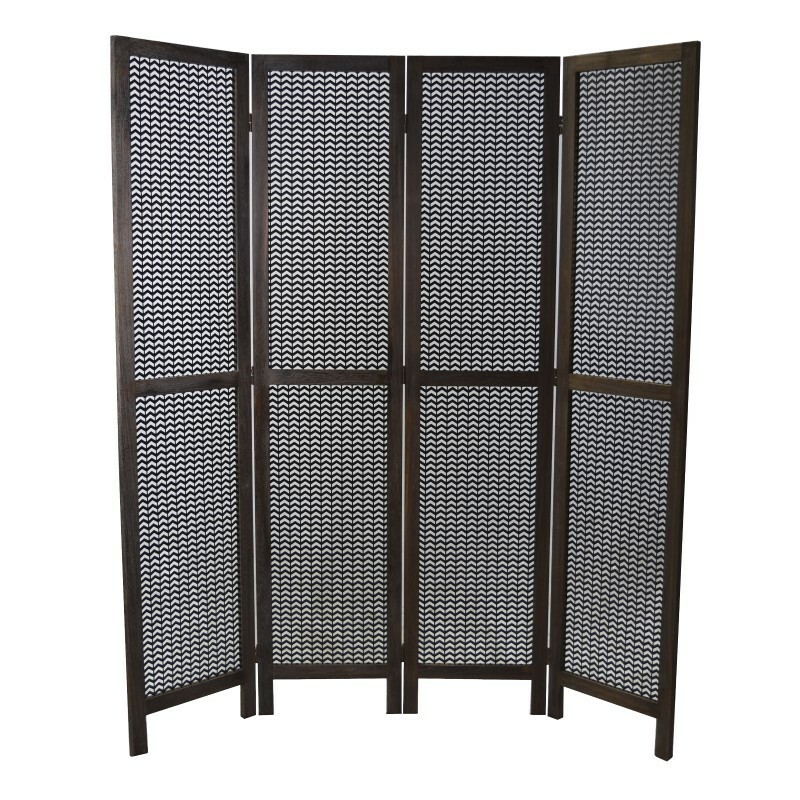 Nova Folding Screen is full of character that you can feel and image! 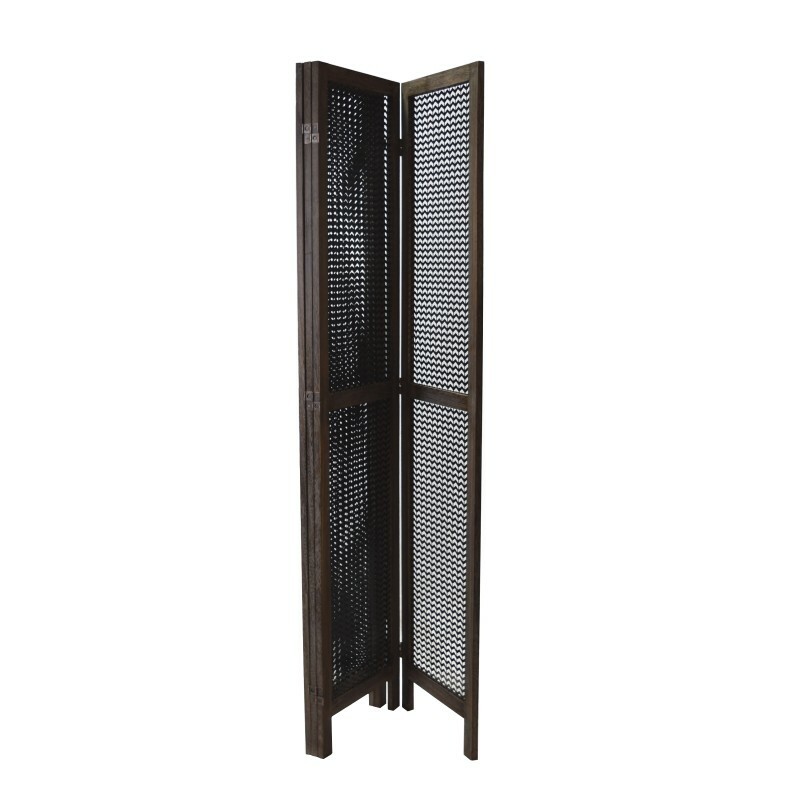 It can be folded on both sides which will unpretentiously fit in any setting in your home!